The influential blog New Liturgical Movement today featured an article by Gregory DiPippo on Anglican Use masses being held for the Feast of Our Lady of Walsingham. As is also noted in the article (Ordinariate Rite Masses for Our Lady of Walsingham, September 24), this is the first time in the Diocese of St Petersburg, Florida, that “the celebration of the Mass according to the rite used in the Ordinariate” will occur. Other masses featured are being held in Ottawa, Ontario, and in Philadelphia, Pennsylvania, and no doubt there are many others being held all around the world in Anglican ordinariate communities. A bright young Jewish Catholic friend of mine recently told me about her visit to the cell of Mother Julian of Norwich, an English anchoress and mystic venerated widely in the Anglican community. Amongst Anglicans, she is not infrequently called Saint Julian of Norwich, and yet while she is not (yet) canonized formally by the Holy See, she is indeed also venerated in the Catholic Church, as the father of the Anglican ordinariate, Pope Benedict XVI, affirmed in 2010, and as the Catechism of the Catholic Church indicates. Is there amongst English Latin Catholics an over-reliance on the formal process of canonization? After all, canonization is supposed to reflect an already existing social veneration of the saint in question. Have Anglicans come to venerate Mother Julian’s memory more freely than Latin Catholics? The Catechism of the Catholic Church cites Dame Julian along with another great saint of Anglican devotion, Sir Thomas More, in its section on how God works everything to good. “I still remember with great joy the Apostolic Journey I made in the United Kingdom last September. England is a land that has given birth to a great many distinguished figures who enhanced Church history with their testimony and their teaching. One of them, venerated both in the Catholic Church and in the Anglican Communion, is the mystic Julian of Norwich, of whom I wish to speak this morning. As Julian herself recounts, in May 1373, most likely on the 13th of that month, she was suddenly stricken with a very serious illness that in three days seemed to be carrying her to the grave. After the priest, who hastened to her bedside, had shown her the Crucified One not only did Julian rapidly recover her health but she received the 16 revelations that she subsequently wrote down and commented on in her book, Revelations of Divine Love. And it was the Lord himself, 15 years after these extraordinary events, who revealed to her the meaning of those visions. “‘Would you learn to see clearly your Lord’s meaning in this thing? Learn it well: Love was his meaning. Who showed it to you? Love…. Why did he show it to you? For Love’…. Thus I was taught that Love was our Lord’s meaning” (Julian of Norwich, Revelations of Divine Love, Chapter 86). Inspired by divine love, Julian made a radical decision. Like an ancient anchoress, she decided to live in a cell located near the church called after St Julian, in the city of Norwich — in her time an important urban centre not far from London. She may have taken the name of Julian precisely from that Saint to whom was dedicated the church in whose vicinity she lived for so many years, until her death. …We also know that Julian too received frequent visitors, as is attested by the autobiography of another fervent Christian of her time, Margery Kempe, who went to Norwich in 1413 to receive advice on her spiritual life. This is why, in her lifetime, Julian was called “Dame Julian”, as is engraved on the funeral monument that contains her remains. She had become a mother to many. …In this book we read the following wonderful words: “And I saw full surely that ere God made us he loved us; which love was never lacking nor ever shall be. And in this love he has made all his works; and in this love he has made all things profitable to us; and in this love our life is everlasting… in which love we have our beginning. And all this shall we see in God, without end” (Revelations of Divine Love, Chapter 86). The theme of divine love recurs frequently in the visions of Julian of Norwich who, with a certain daring, did not hesitate to compare them also to motherly love. This is one of the most characteristic messages of her mystical theology. The tenderness, concern and gentleness of God’s kindness to us are so great that they remind us, pilgrims on earth, of a mother’s love for her children. In fact the biblical prophets also sometimes used this language that calls to mind the tenderness, intensity and totality of God’s love, which is manifested in creation and in the whole history of salvation that is crowned by the Incarnation of the Son. God, however, always excels all human love, as the Prophet Isaiah says: “Can a woman forget her sucking child, that she should have no compassion on the son of her womb? Even these may forget, yet I will never forget you” (Is 49:15). Julian of Norwich understood the central message for spiritual life: God is love and it is only if one opens oneself to this love, totally and with total trust, and lets it become one’s sole guide in life, that all things are transfigured, true peace and true joy found and one is able to radiate it. …If God is supremely good and wise, why do evil and the suffering of innocents exist? And the Saints themselves asked this very question. Illumined by faith, they give an answer that opens our hearts to trust and hope: in the mysterious designs of Providence, God can draw a greater good even from evil, as Julian of Norwich wrote: “Here I was taught by the grace of God that I should steadfastly hold me in the Faith … and that … I should take my stand on and earnestly believe in … that ‘all manner of thing shall be well”’ (The Revelations of Divine Love, Chapter 32). Pope Francis has also quoted Julian of Norwich to teach about God’s mercy. Cardinal Adam Easton, an Englishman & contemporary of Julian’s, may have been her spiritual director, and his story is quite fascinating in itself (made Cardinal by Pope Urban VI, he later became Dean of York & Prebend at Salisbury Cathedral, arranged the wedding coronation of King Richard II & Queen Anne, was deprived of his cardinalate by the same pope and restored by Pope Boniface IX). Perhaps we Anglican Catholics in the ordinariates ought to promote her cause for canonization. It took 900 years for Hildegard of Bingen to be finally recognized a saint in the Church’s liturgy, so we’re still ahead of the curve for Julian! Today is the Feast of St John the Baptist. The Baptist is well-known as the patron saint of French Canada, and la Saint-Jean or la Saint-Jean-Baptiste, as today is known, is the major cultural holiday of French Canadians across the Dominion, and in Quebec it is also known as la Fête nationale. To mark the occasion, fellow contributor to this blog Charles Coulombe (who is himself of French Canadian heritage) has posted elsewhere online the fourth verse of the original French version of O Canada, saying that “Because Canada was discovered by John Cabot on June 24, 1497, St John the Baptist is also the patron of… Anglo-Canadians….” And so he was adopted as patron for the Anglican ordinariate community in Canada as well, and the Deanery thus marks our national patronal on this day. There have been a number of occasions on which members of our Anglican Catholic community have commented, both online and off, about the ‘Anglican Rosary’, or Anglican prayer beads, and whether members of the ordinariates pray it. It seems there are very few of us who do, but the reason for this is likely nothing other than that few of us prayed it even as Anglicans. The so-called ‘Anglican prayer beads’ consist of a chaplet of four groupings of seven beads called ‘weeks’, separated by four ‘cruciform’ beads (so named because of the cross shape they form in this arrangement), and prefaced by a cross or crucifix and an invitatory bead. Because this is a relatively recent innovation in the Anglican world (it seems to be no older than the Anglican Use liturgical provision in the Catholic Church), there is no long history of use, nor an established or authoritative manner of praying it. This has led to some rather humorous takes on attempts at adopting this devotion. Some Anglicans use the Jesus Prayer for the small beads and the Trisagion for the big beads. Another proposal uses the Agnus Dei. (Although, as found in these schemes, it would be rather unfortunate to avoid a Hail Mary in a devotional nicknamed ‘rosary’). 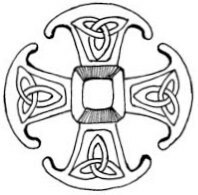 Another suggestion online proposes praying St Patrick’s Breastplate with Anglican prayer beads. Other people doubtless have different prayer customs, and of course one can always simply use the Our Father, the Hail Mary, and the Glory Be. Some Catholics, however, have objected to the ‘Anglican Rosary’, seeing it as nothing more than an avoidance of the more renowned Marian alternative, the common rosary used by hundreds of millions of Catholics around the world, sometimes also known as the ‘Dominican Rosary’. As Anglicans, most of us who prayed the rosary prayed this commonly known Catholic version, the Dominican one. We did so, however, in a distinctively Anglican way. In the + Name of the Father, and of the Son, and of the Holy Ghost. Amen. I believe in God, the Father almighty, maker of heaven and earth; And in Jesus Christ his only Son our Lord; who was conceived by the Holy Ghost, born of the Virgin Mary, suffered under Pontius Pilate, was crucified, dead, and buried. He descended into hell. The third day he rose again from the dead. He ascended into heaven, and sitteth on the right hand of God the Father almighty. From thence he shall come to judge the quick and the dead. I believe in the Holy Ghost, the holy catholic Church, the communion of saints, the forgiveness of sins, the resurrection of the body, and the life everlasting. Amen. Our Father who art in heaven, Hallowed be thy Name, Thy kingdom come, Thy will be done, on earth as it is in heaven. Give us this day our daily bread; And forgive us our trespasses, As we forgive them that trespass against us; And lead us not into temptation, But deliver us from evil. For thine is the kingdom, the power, and the glory, For ever and ever. Amen. I don’t think we should reject the otherwise so-called ‘Anglican Rosary’, but before seeking any hearty ecclesiastical endorsement of it, it might be prudent to wait upon its natural, organic adoption by the Anglican Catholic faithful of the ordinariates. What might it take to establish this other ‘Anglican Rosary’ as a commonly-prayed devotion? It is a question of holiness. If saints pray it in a saintly manner, and it thus becomes an instrument of the sanctification of souls, then it will become something worthy of being taken up on a more widespread basis. Until then, let us continue to use the ‘Anglican Rosary’ we have always used: the one common to all Latin Christians, prayed in our Anglican idiom. And let us continue to ask Mary for her intercession on behalf of the Anglican ordinariates and all our separated Anglican brethren. “In other words, the reconstituted jar represents the whole of English Catholic Christendom in its Roman and Anglican halves, restored in Catholic unity. In this analogy, the ordinariate itself is not the juridical form of the whole jar reconstituted, but the Anglican component or shard. The Roman half or shard is found in the post-Reformation Latin dioceses of England. “In this way, we can see how the Anglican tradition is retained in its integrity in the ordinariates, and not merged or hybridized with the Anglo-Roman heritage of the post-Reformation English Latin Church. “The Anglican Catholic heritage and identity of the ordinariates do have an ongoing relation to the Anglo-Roman Catholic heritage; indeed, because of their common history, they have a bearing on each other. This would also apply to the English Roman Catholic shard: their culture and identity are not unmarked by their common history with Anglican Catholicism either. That I may go unto the altar of God, even unto the God of my joy and gladness; and upon the harp will I give thanks unto thee, O God, my God. The use of the vernacular, at least in part, was permitted by the Holy See for the older form of the Roman rite in certain lands and tongues, but never in English. Were it to be done, we should hope that it would be the established sacral English translation that has already been in use for generations, as found in the English Missal, and not a newly-devised translation. It is worth pointing out that the English Missal illustrates well the distinction in Anglican usage and history between the ‘Anglican rite’ (as found in the BCP, or perhaps the Anglican Missal) and the ‘Western Rite’, as it was often called (i.e. the ‘Roman rite’). While not licitly used by Latin Catholic priests (although it has been done), the English Missal cannot be said to be a different rite than the Roman, as it is merely a translation. But the Anglican liturgy more properly so-called, while closely related to the Roman, was distinct and is descended from its own Sarum antecedent. 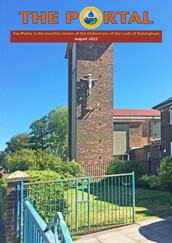 The Divine Worship Missal used in the ordinariates aims to give expression to this Anglican liturgical patrimony but is influenced by the English Missal as well. Given that Anglicanorum Coetibus grants to us the use both of our own Anglican liturgical books and also of the Roman rite, it could be argued that ordinariate priests should be able to avail themselves of the latter part of this provision by the use of the English Missal.